I have a complicated history with Theodor Geisel. More specifically, I have a complicated history with his work. It's not complicated in any real world way, it's complicated like a relationship status on social media. Which is to say, it's entirely one sided and all in my head and heart. Like a great many North American children, I grew up loving Dr. Seuss. From The Birthday Book, which was read to me on my birthday every single year, to the adventures of young Bartholomew Cubbins, I read everything Seuss had written at least 20 times over by the time I was 10. Or at least that's what I thought. What I didn't know about were Geisel's early advertising works or his WWII era propaganda cartoons. They were problematic to say the least. Geisel supported the internment of Japanese Americans during WWII, an action on the part of the government that resulted in my family being sent to prison camp and losing their house to the military. It wasn't until I read, And to Think That I Saw it on Mulberry Street to my kids that I began to understand Seuss' transformation over the course of his career. If you don't remember Mulberry St. (the book, not the street) it's about a young boy who makes up a story about things he saw on his way home. He strives to come up with the most outlandish things he can possibly think of. 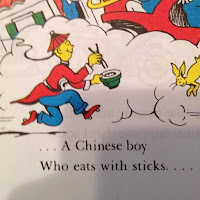 The capper, the most outlandish, bizarre, inconceivable thing he can come up with is, "A Chinese boy Who eats with sticks." I was floored. I remembered everything else in his fanciful parade, but I had never registered the Chinese boy. 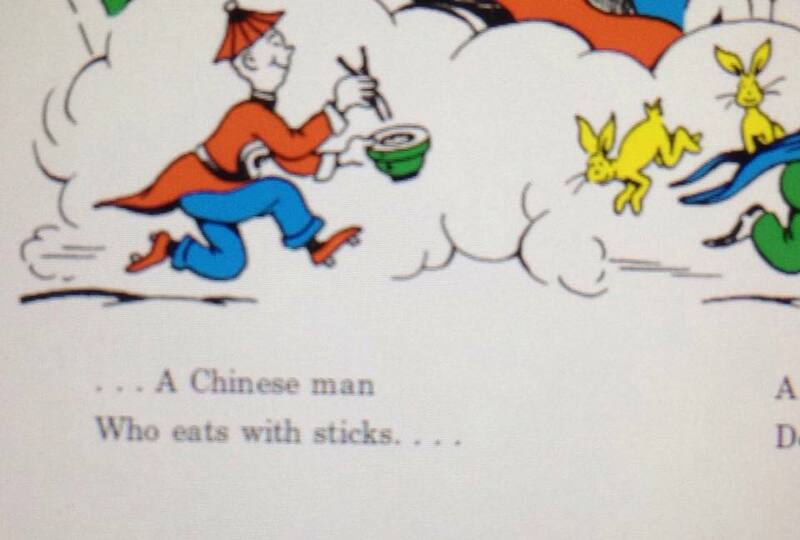 It turns out that in the original 1937 printing it was a "Chinaman." Ouch. I've had some long and involved debates about Mulberry St. (the book, not the street). The opposing view is that it's not racist because it's a product of its time. Well sure, but that was a time when it was OK to be racist. After all, it was just five years later that the government shipped 120,000 people off to prison based solely on their race. (Not to mention Jim Crow, segregated military units, and rampant anti-Semitism.) The fact is, through the 1940s, Dr. Seuss was kind of a racist. Which brings us to, The Grinch. 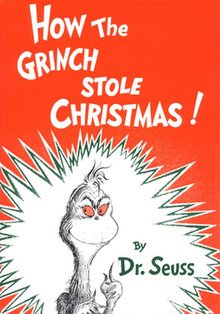 How the Grinch Stole Christmas has to be one of Dr. Seuss' most well known an beloved works. 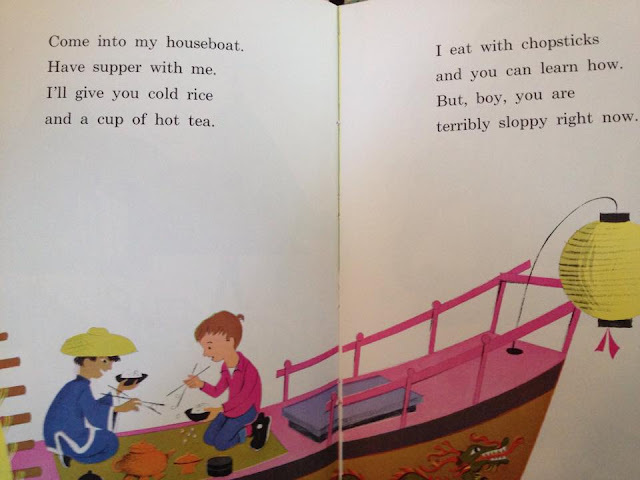 It was another one that we read every single year at my house. It's one I can quote up and down, often using the quotes outside of Christmas or anything remotely related to Christmas. It's also one that has been controversial for completely different reasons, adaptations. The 1966 animated version of the book is so far, the best. It's essentially the book, with animation and a great song. Little is changed in terms of the wording and it's read by Boris Karloff, so that's going to be hard to beat. It's also just 26 minutes long, which means it's easy to digest and of a length that it could be shown on television in a standard half hour block. I used to beg my mom to be able to watch it the ONE time it would be shown each year, usually along with the Peanuts Christmas special, and a one-off Cone Heads cartoon. It was something I looked forward to every winter almost as much as Christmas itself. Then there's the Jim Carrey version. Yikes. I was excited about a live action Grinch movie and I thought Carrey was a good choice for the role, but how would they stretch it to 104 minutes? The answer was with a lot of back story, including neglectful adoptive parents and a key party. Ew. Critics gave it mixed reviews, I don't know anyone who liked it. And like that, The Grinch was put away for the next 18 years. 18 years?! It must be time to try again right? Just like I kept looking for reasons to forgive Dr. Seuss and his early career, I'm really hopeful about this latest film. First of all, it's a return to animation, which I think is a good choice for Seuss adaptations. It has an all-star cast, including Benedict Cumberbatch and Rashida Jones. It clocks in a tidy 86 minutes so it won't be too long for the kids. I'm 100% certain it will stray from and embellish the original book, (the preview articles pretty much promise that) but it has to do that and I know it can be done well. I thought Peter Rabbit was pretty good for what it was. I'm also the guy who cried both times I watched The Peanuts Movie, so I know there can be adaptations that provide an updated experience while holding true to what we all loved about the source material. 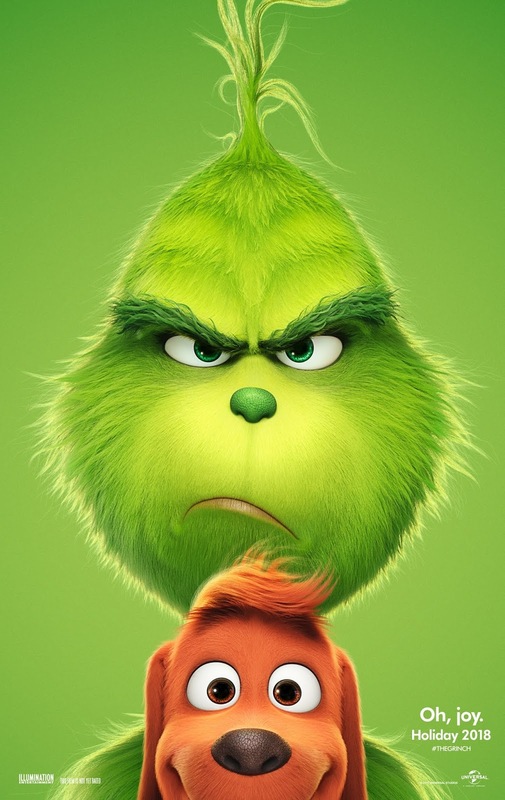 So I'm excited to bring my kids to an advanced showing of The Grinch coming up on Wednesday, November 7th at 7:30pm at the AMC Bay St. 16 in Emeryville, and I want you to join us. 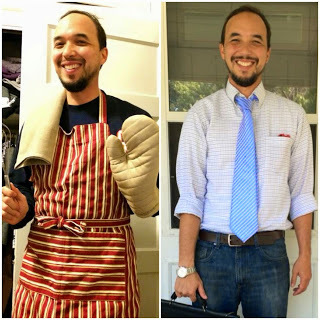 I'm running a raffle right now, through Friday, October 26th. Check out the info below on how to enter. I have at least 6 sets of 4 tickets to give out. I may have Grinch swag for the winners as well. So if you want to hang out, meet the fam, or argue with me on my Dr. Seuss takes, enter below and I'll see you there! I don't tweet, so I guess I can't enter?